Hello guys and girls. You requested too much this and finally here its. Hope you like. 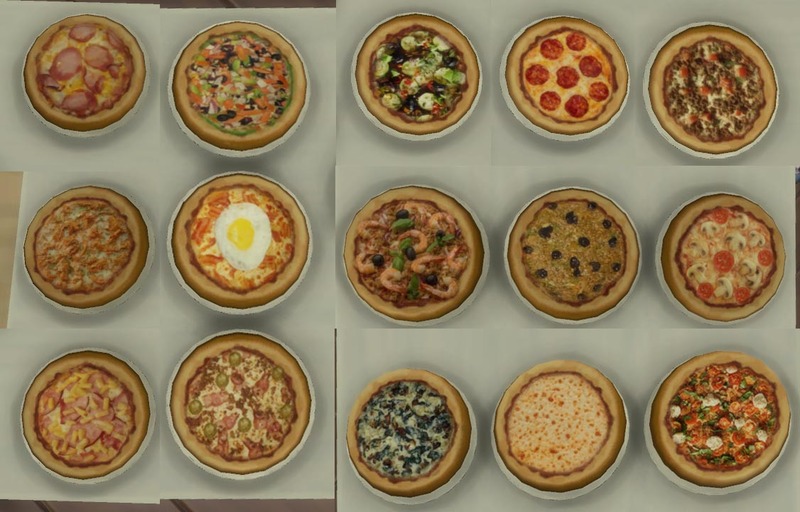 Hello I update the mini pizzas for the toddlers patch finally and for the latest vampire patch (this last not neccesary, but who knows) So please download the new version. 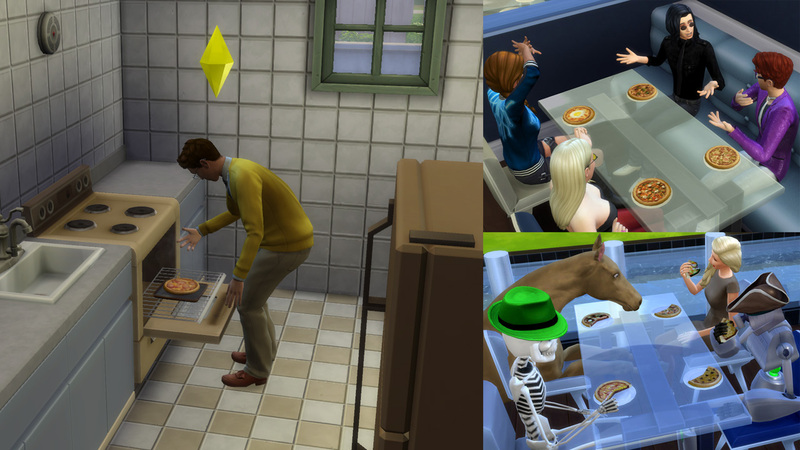 I received much suggestions of the pizzas from the clay oven to be available for restaurants. Sadly the normal big versions and the clay oven canot be usable at restaurants. But I create the original 15 pizzas into mini single serving pizzas that can be ordered at restaurant or crafted at home. For home crafting you need the custom food iteractions version 1.7 So you can cook them on any stove at the cook custom recipe menu. 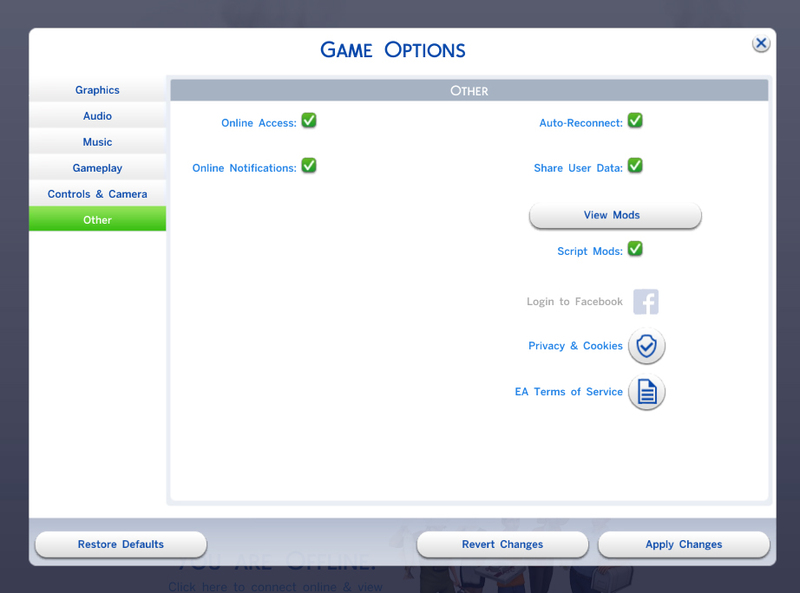 For restaurant you need to select them from the customize menu option when you create your restaurant. So pizza restaurants is now a reality!! In restaurant they appears in the main course tag. Some in meat, another in vegetarian and one in seafood. 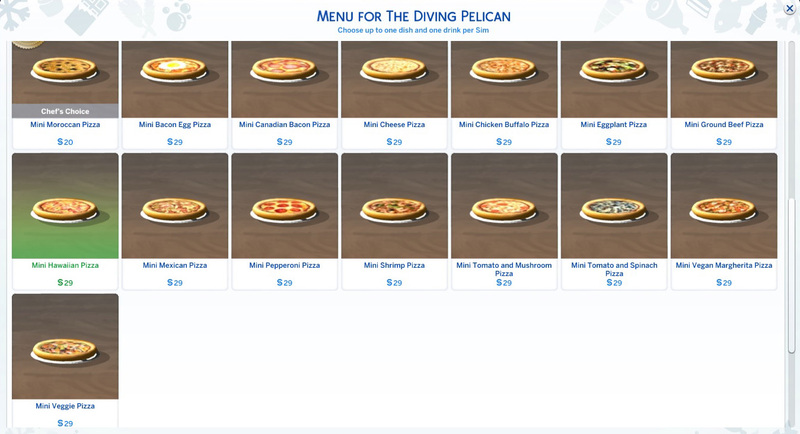 Restaurant menu and images courtesy of Esmeralda who test them because I dont have Dine Out =P. 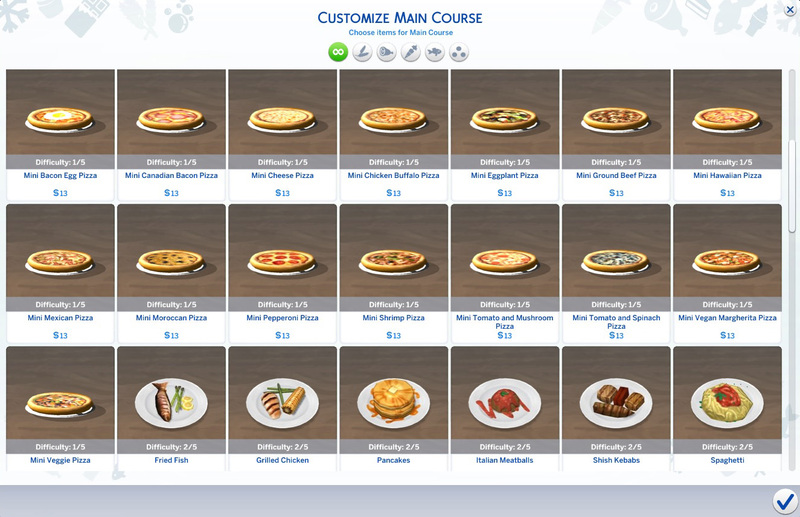 MTS, Sims 4 Studio "jackpot", Esmeralda who test them for restaurants and icemunmun for their tips and help on making custom food and how to appear them in restaurants.